The pawpaw (Asimina triloba) is a curious fruit. Until recently, few Americans were even aware of its existence, which is unusual, since it’s the largest fruit native to North America and once was a valued food source for both Native Americans and early European settlers. Of course, the pawpaw never really went away, but continued growing quietly in the background here and there; along riverbanks, near rusty, disused train tracks and on old abandoned homesteads across the eastern U.S., as far north as Michigan, south into Mississippi and west to eastern Texas. Luckily for us, this once nearly forgotten fruit was rescued from obscurity by a band of dedicated growers and is currently increasing in popularity at an astonishing rate. In appearance, the pawpaw is a rather large, but otherwise unassuming pale green fruit that resembles a mango more than anything else. But beneath that skin lies a soft, golden-yellow custardy flesh with a surprisingly complex flavor that can’t be adequately described, only experienced. 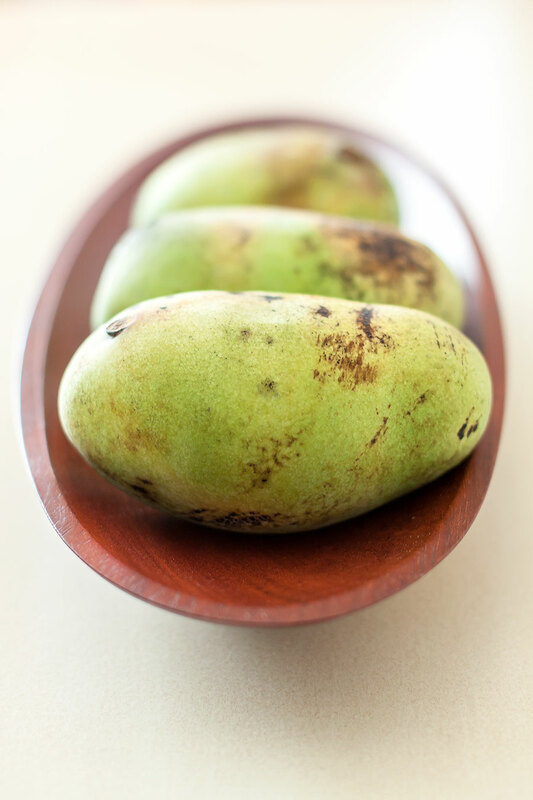 While the taste of a ripe pawpaw is often compared to a combination of pineapple, banana and guava (or other tropical fruits), in truth, it tastes like absolutely nothing else. If no two descriptions of the flavor are quite alike, nearly everyone can agree on one thing: pawpaws are at their best when eaten uncooked. The volatile compounds that give pawpaws their wonderfully complex flavor are greatly diminished by heat. Yes, there are many old-time recipes for pawpaw cookies, cakes and puddings, but since pawpaws ripen quickly and don’t store well, we can assume that our pioneer forebearers were making the most of a precious seasonal treat in every way possible. Here’s something good to know: pawpaws love dairy. 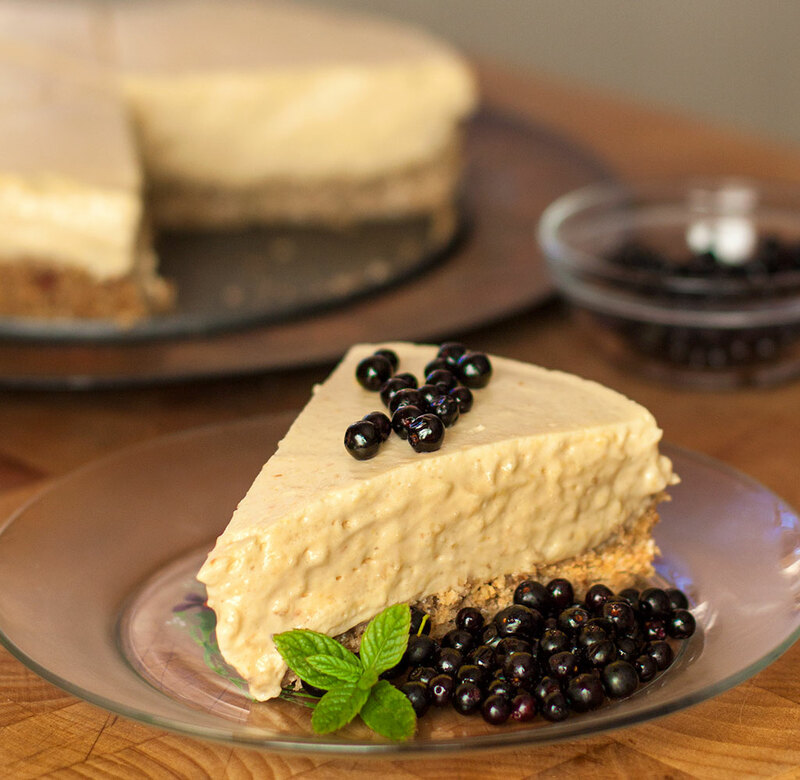 That deliciously exotic flavor blends perfectly with cream cheese, yogurt and sour cream, resulting in a feather-light cheesecake with a nutty crust and luscious no-bake pawpaw filling. 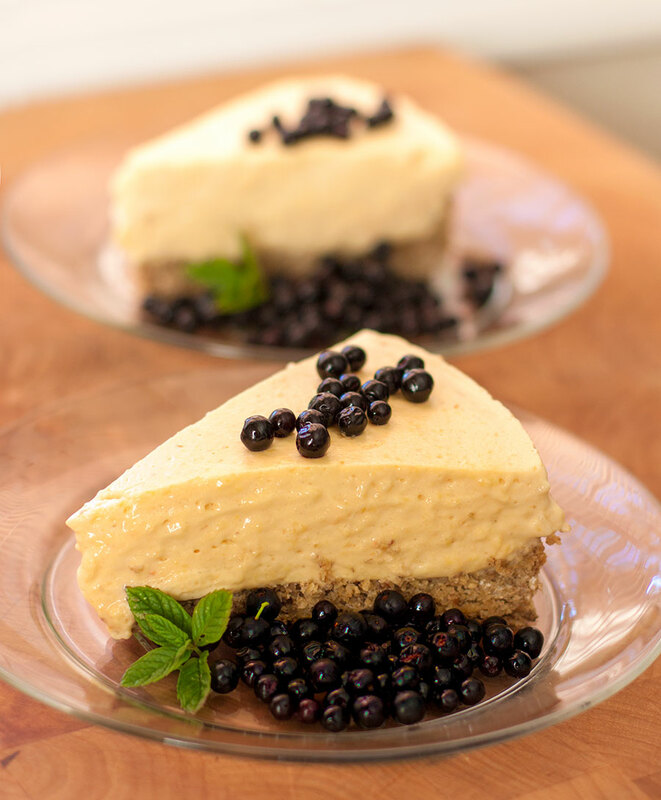 Yes, you can have your cheesecake and eat it too! To be at their best, pawpaws need to ripen fully at room temperature. As a pawpaw ripens, the skin darkens, becoming black in spots (like an overripe banana) and the flesh becomes very, very soft. When your pawpaw fruit reaches this point, grab a spoon and prepare to enjoy a pawpaw at its finest. * Halve the pawpaws and scoop out the pulp with a spoon, discarding the seeds and skin; puree in a blender or food processor until very smooth. Strain through a fine sieve. ** Please note: This recipe contains raw eggs. Foods containing raw eggs are not recommended for infants, the elderly, pregnant women, and people with weakened immune systems. Preheat the oven to 350 degrees (convection 300 degrees). In a large bowl, combine all dry crust ingredients. Pour the melted butter over, mixing until evenly blended. Firmly press the crust mixture into the bottom and 1/2 inch up the sides of an ungreased 9 inch springform pan. Bake in the preheated oven for about 18-20 minutes or until golden brown; set on a rack and allow to cool completely. 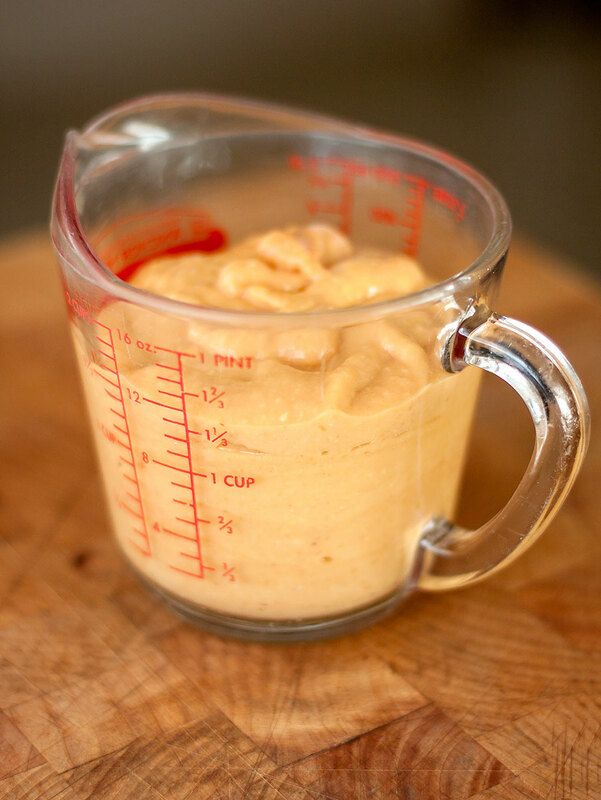 Using a handheld or stand mixer, beat the cream cheese, yogurt, sour cream, egg yolks and 1/4 cup sugar until smooth. Add the pawpaw puree and stir well to blend. Combine the gelatin and water in a small saucepan. Simmer, stirring frequently until the gelatin is completely dissolved; allow to cool slightly, then stir into the cheese mixture. Beat the egg whites with 1/4 cup sugar until soft peaks form. Gently fold the egg whites into the cheese mixture. Spoon the filling into the cooled crust, smoothing the top with the back of the spoon. Refrigerate for 2-3 hours or until completely set. To serve, run a knife around the edge of cheesecake and remove the ring. Carefully slice the cheesecake and serve on individual plates. Garnish with your choice of fresh berries or fruit (we used fresh, just-picked wild huckleberries) and sprigs of mint.